DataCore and Cisco partners are able to deliver 100% Cisco hardware solutions, end to end, covering storage, network, and compute needs in order to provide complete datacenter solutions with Tier-1 enterprise storage capabilities. These solutions provide enterprise-class storage features for both self-contained hyper-converged setups as well as architectures that allow independent scaling of storage and compute, all connected by a Cisco-powered network fabric. Optional new or legacy external block storage systems from third parties can be easily integrated into these solutions according to business requirements. DataCore Software-Defined Storage has passed Cisco Interoperability Verification Testing (IVT) and has met compatibility certification with Cisco’s Unified Computing System, the UCS C-Series Rack-Servers. Modern IT infrastructures often contain a complex mix of incompatible legacy SAN arrays and emerging storage products. Storage systems on the Cisco Virtual Interface Card Hardware Compatibility List (VIC HCL) can be easily connected to a DataCore-powered C-series rack to eliminate storage silos. Data can be easily replicated, migrated, and tiered across previously incompatible storage products while new products can easily be brought on-line. Thin provisioning, pioneered by DataCore, offers modular scalability with minimal initial investment by allowing capacity to be added efficiently, automatically or on-demand, as needed. Two Cisco UCS nodes can be used to pool external storage to easily form a stretch cluster over multiple data centers. With this, organizations can reliably introduce DataCore’s proven zero-touch failover™ to provide mission-critical resilience and non-stop data in disaster scenarios. Cisco partners can easily enable a broader set of enterprise customers with application availability and mobility, regardless of storage infrastructure, by combining DataCore-powered C-series rack with technologies such as Cisco OTV. Asynchronous replication can be enabled to provide further protection in DR scenarios, including failover to public cloud services. Cisco UCS servers provide a multitude of Direct Attached Storage (DAS) hard drive and flash media options. Combined with DataCore Software-Defined Storage, these can be used to deliver data via Fibre Channel or iSCSI to external application clients or internally to applications or VMs inside the UCS server. DataCore’s write optimization technologies can accelerate random IOPS hard drive performance to match performance associated with Flash SSD media capabilities. DataCore’s real-time auto-tiering capabilities and ‘heat map’ visualization tools automate and simplify the movement and management of data hotspots to high-performance storage media and can be used to accelerate SAN storage with DAS flash. We are excited about DataCore Software’s comprehensive Tier-1 storage capabilities and how they strongly complement the extensive practice we have built using Cisco UCS Servers. DataCore’s technology combined with Cisco allows MNJ to help customers achieve business agility through a flexible Software-Defined Storage infrastructure, and easily meet their objectives around business-critical data. 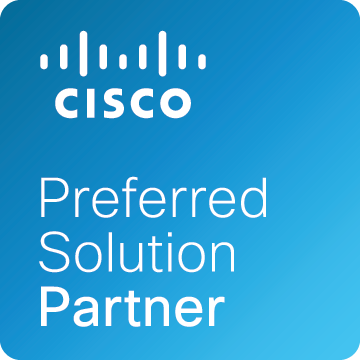 The Cisco Solution Partner Program, part of the Cisco Partner Ecosystem, unites Cisco with third-party independent hardware and software vendors to deliver integrated solutions to joint customers. As a Solution Partner, DataCore offers a complementary product offering and collaborates with Cisco to meet the needs of joint customers. For more information about DataCore, view Cisco Marketplace – DataCore Software-Defined Storage Solutions.